Are you looking for the best all-around protective sleeves for your Surface Pro 4? 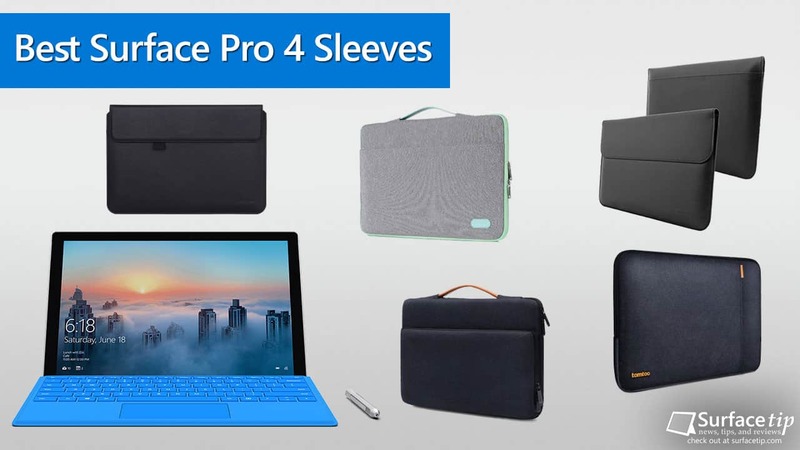 This is the ultimate list of the BEST Surface Pro 4 sleeves you can buy to protect your device from drops, scratches, scrapes, and other damages. Microsoft Surface Pro 4 is a great 2-in-1 device that has the most powerful performance on a very thin design. It has a great build quality with its magnesium body, a built-in kickstand and a detachable keyboard. 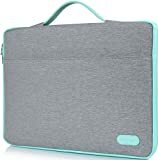 To keep your Surface Pro 4 last for long use and can protect from serious drops, scratches, and any damages, you will definitely need protection from a laptop sleeve. 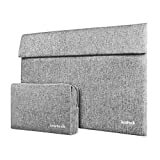 A laptop sleeve is designed to provide full protection for your Surface Pro 4 especially when you slide it in a bag while traveling. If you are looking for a great sleeve, here we have a list for you. We will list down the best sleeves that are not just designed for providing the best protection but also looks great. Best protection on a slim profile. Has a large zipper pocket for keeping accessories. Available in gray, pink, black, and Tiffany blue. 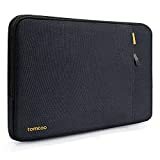 The sleeve we selected for the Surface Pro 4 is the 360° protective laptop sleeve case from Tomtoc. It features perfect protection for your Surface Pro 4 with its 3 layers protection. First, the exterior surface made from the spill-resistant polyester material. Follows with the shockproof sponge and soft interior foam cushioning to protect your device from any bumps, scrapes, and knocks. This sleeve also has a unique internal cushion system and a thick protective ridge to provide all-around protection to your device. It also has an extra large pocket to store your phones, tablets, your Surface charger, or other accessories. This sleeve also available in several color options including black blue, tiffany blue, gray, and pink. Secured the closure with strong magnets. Fit tight with or without the keyboard attached. Exterior: premium composition leather, interior: soft microfiber. Has built-in a pen holder and a large rear pocket. Colors: black, brown, and red. This ProCase wallet sleeve case is made to fit well with your Surface Pro 4. The exterior of the case made from a premium composition of leather that looks stylish and can protect your device at the same time. A soft microfiber has been used as interior to prevent scratches. This sleeve case has a special interior cut which allows you to charge your Surface Pro 4 and keeping your Surface Pen within the case. This case also has a back large pocket you can keep documents, smartphones, and other small devices. Designed for Surface Pro 4. A rear pocket for keeping papers and documents. Available in black, brown, purple, red, cyan, and magenta. The back pocket is not big enough for the power adapter. This leather sleeve case that made specifically for Microsoft Surface Pro 4 from Snugg. The overall exterior is made from high-quality PU leather with splash proof. The interior of this sleeve is made from a soft nubuck fiber that can prevent your device from scratches and scrapes. This sleeve has two compartments, the main and the rear one. Under the flap, there is also has a built-in card holder to store business cards. The rear compartment has a large room to store your papers and documents. Put everything you need on the go. Ultra-thick, yet lightweight for best protection. Has a handle strap easy for carrying. 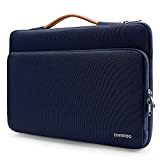 This Tomtoc Briefcase Sleeve Bag is made specifically for the Microsoft Surface Pro 4 tablet. It is a great choice for student or business person who needs to take their necessary stuff to school or workplace. There are two compartments, the main compartment, and the front elastic compartment. In the front compartment, there are multiple pen holders and pockets allow you to store different type of accessories securely. This sleeve also features the tensile PU Leather handle that you can carry with ease. 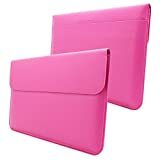 Those are the top sleeves that can provide the best protection with a stylish design for your Surface Pro 4 so far. If you want a well protective sleeve, you can choose from a sleeve from Tomtoc, ProCase, or Snugg depending on your preference. For the all-around protection with a handle strap, Tomtoc or ProCase also has suitable sleeves for you as well. Note Updated April 2018: We have updated this sleeves list to make sure you will get only the best and latest protection for your Surface Pro 4. We appreciate hearing your thoughts, questions, and ideas about “Best Sleeves for Microsoft Surface Pro 4 in 2019”. Please post respectful comments and on topic. We will be replying back to you as soon as possible. Share your idea about "Best Sleeves for Microsoft Surface Pro 4 in 2019".